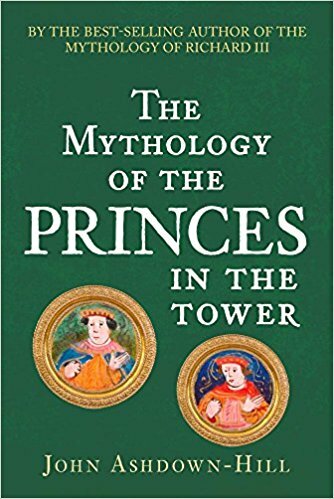 English kings, queens and ladies of the late 15th century and their books…. On a whim, I acquired a copy of The Medieval Mystical Tradition in England, edited by Marion Glasscoe. It concerns the papers that were the proceedings of the Exeter Symposium IV: Dartington 1987. And the first of these papers concerns The Mystics and the Early English Printers, and is by George R. Keiser. I confess this is not my usual territory, but I found it all very interesting. The objective of this particular paper is to argue about points regarding Wynkyn de Worde’s significance in printing in England. Wynkyn was a Dutch emigrant who first worked with Caxton, but in 1500 set up on his own to approach printing from his own perspective. Caxton was apparently not much inclined to print in English, but Wynkyn de Worde did just that. That is not my interest here, because my Ricardian leanings take me down a side road. By that I mean, a little delve into the literacy, or lack of it, of the royals of the late 15th century. Caxton had done well under the Yorkist kings. There is a famous Victorian painting of Edward IV and his family visiting Caxton’s printing press, and according to Weiser, it is generally accepted that the kings who preceded Henry VII were well educated and prepared for their royal role. According to me, this is especially true of Richard III, Edward’s youngest brother, who was particularly literate. Strangely, he doesn’t get a mention. 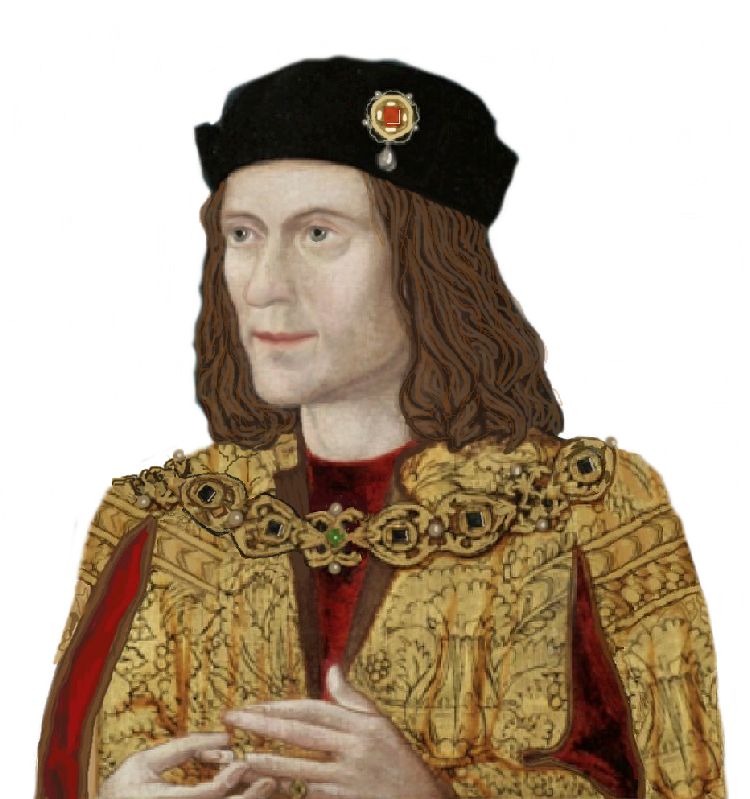 I know he only reigned for two years, but that is no excuse for eliminating him, so I will rectify the omission by directing you to http://www.richardiii.net/2_1_0_richardiii.php where the section on his books reveals him to have been unusually steeped in literature. So, far from having little to do with printing, he was quite clearly very interested and involved. And he possessed a copy of the Bible in the English language. Flourishing under the Yorkists meant life was not so easy after Bosworth, of course, and both Caxton and Wynkyn rather cannily approached Margaret Beaufort, who, whatever we may think of her, was a very literate woman. Wynkyn eventually styled himself “Prynter vnto the moost excellent Pryncesse my lady the Kynges mother”. She and Elizabeth of York were often approached together, and appear to have commissioned a number of book editions to give to their friends. It is not so well known how literate Elizabeth of York was, but there is, apparently, a surviving print book that contains the signatures of both ladies. Huh??? Henry missed a chance for more propaganda? Hard to believe. But I must be fair to Henry regarding his literacy. He spoke a number of languages, and was a highly intelligent man! Mind you, I must say that it is easier to speak a language than to write it. Even so, I have always regarded him as well educated, if not exactly well prepared to be king. 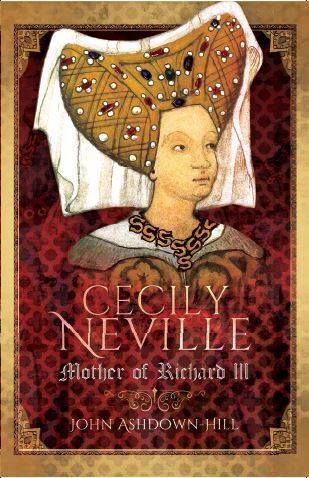 Cecily Neville, Duchess of York, (mother of Edward IV and Richard III, and grandmother of Elizabeth of York, and Henry’s grandmother-in-law) was particularly distinguished for her pious life and collection of devotional writings which she bequeathed to various granddaughters. So the royal ladies of the late 15th century were educated and literate, a fact that is often overlooked. The men are credited with being as deft with the quill as they were with the sword, while the women did nothing in particular. Is that not the usual image with which we are presented? Finally, a rather favourite of lady of mine; indeed, the lady after whom I called myself ‘viscountessw’. Cicely, Viscountess Welles, was Elizabeth of York’s next sister in age, and therefore another daughter of Edward IV. She became the wife of John Welles, Viscount Welles, who was Margaret Beaufort’s half-brother. Thus Cicely was also Henry VII’s sister-in-law…and his aunt by marriage was well! A very highly connected lady. Well, the above paragraph does not say all the books were inscribed with Cicely’s name…or does it? I’m not quite sure. And yes, she may simply have liked looking at them, but on the other hand, perhaps she could read them perfectly well. I hope so. She became very close to Margaret Beaufort, which perhaps would not have been the case if Cicely had been an uneducated nitwit. Richard of York was the only son of Richard Earl of Cambridge, a Yorkist who was executed for plotting the overthrow of the Lancastrian Henry V. He was also the nephew of a Yorkist. His maternal uncle was Edmund Mortimer, earl of March, who, arguably, had a superior title to the crown than the king. Richard himself became the Lancastrian government’s severest critic. In the circumstances, it’s easy to overlook the fact (as some historians do) that whilst he was born into a Yorkist family and died pursuing his Yorkist birthright, he was actually raised a Lancastrian. The execution of his father in 1415 left the infant Richard in a perilous situation. As the orphan of a traitor he could expect little favour from the king. Furthermore, the death of his paternal uncle Edward 2nd duke of York at Agincourt left him without any obvious relative to take interest in his welfare. Fortunately the king treated young Richard fairly. Perhaps it was the memory of Edward’s loyal service and sacrifice that softened Henry’s attitude towards a Yorkist brat: who knows? In any event he was made a royal ward and allowed to succeed to the duchy of York, an inheritance that protected him from the full effect of his father’s attainder. Richard was given into the custody of Sir Robert Waterton, a stern and devoted Lancastrian, under whose tutelage he remained until 1423. In that year Ralph Neville, Earl of Westmorland — another Lancastrian adherent — purchased Richard’s wardship for 3000 marks. The high price reflected Yorks potential as a royal duke and the only heir to the vast Mortimer inheritance. By 1424 Richard was betrothed to Cecily Neville who was Westmorland’s daughter by Joan Beaufort: she was nine and he was thirteen. It was a prestigious match and a lucrative one for the Neville’s. It was also a useful union from the king’s perspective. York was the heir to Edmund Mortimer; he would inherit Mortimer’s vast estates and his title to the throne. Lancastrian concerns about York’s title were never far from the surface throughout his minority. It represented an implied threat to the Lancastrian dynasty, which could not be ignored. One way to neutralize this threat was to attach him to a staunchly Lancastrian family and draw him ever closer into their affinity. York was knighted in 1426; two years later he took up residence in the royal household. In 1430, he and his retinue (twelve lances and thirty-six archers) accompanied the king on his coronation expedition to France. In 1432 whilst still a minor he was granted the livery of his estates. The ultimate accolade came the next year when Richard was made a knight of the Order of the Garter, a mark of royal favour and surety to his loyalty. Richard of York was raised to be a useful Lancastrian peer and he seems to have concurred with that for most of his life. His first experience of the vicissitudes of public service occurred between 1436 and 1445, during which time he served two tours as Lieutenant General for Normandy. It was his experiences and achievements during these tours that confirmed his Lancastrian loyalty whilst indicating his eventual Yorkist destiny. His appointment in 1436 was in succession to John duke of Bedford whose death the previous year had triggered a crisis. York’s brief was simple: to provide good government, to preserve the military status quo and not to make any permanent decisions. The appointment was for one year only, until the king reached his majority and made a permanent appointment. Despite his inexperience, Richard’s performance was creditable . He worked well with John Talbot who drove the French from northern Normandy and he did useful work addressing the grievances of his subjects where he could. By the end of his tenure in 1437 the military situation was slightly better; Normandy was returned to English authority and he had done nothing to limit the king’s future freedom of action. The English conquests in France were regarded as the legitimisation of the Lancastrian dynasty; York, by his service had acknowledged that legitimacy. He was sent to Normandy again 1440, arriving by the summer of 1441. The English situation remained critical and the resources insufficient. The task was still to maintain the status quo. The only things that had changed were York’s powers and the English policy. York had been given the full military and civil powers of a governor but now the king’s peace policy was official and York was expected to fight a holding campaign that would encourage the French to the negotiating table. The peace policy was remarkably divisive in England and I will deal separately with its ramifications for York. In a brilliant opening campaign York and Talbot drove the French back to Paris, almost capturing Charles VII. Unfortunately, without a substantial reinforcement of men and material Normandy continued to be vulnerable. The English could not sustain their effort and by the spring of 1442 the French had recovered the lost ground. The ultimate humiliation occurred in the autumn of 1442, when York was commanded to ‘sue for peace’. It was part of the king’s increasingly desperate search for peace in the face of a disintegrating military situation, especially in the south. In the circumstances, Normandy was considered expendable. The following month, Talbot’s failure to re-take Dieppe was the nadir of York’s governance. Eventually, York managed to achieve a stalemate of sorts. This was due to a relaxation of pressure by the French who had their own reasons for engaging in peace talks with the English. In April 1443 the Garter King of Arms visited York, he told him of the Council’s new plan. The Council were “aware of the threat to Normandy and Gascony had appointed John Beaufort duke of Somerset to lead an army via Cherbourg and south of the Loire and give battle to the French.” At Somerset’s request Garter emphasised that this expedition was not detrimental to Yorks command in Normandy. The plan was for Somerset to seek out and defeat Charles VII and his main force. This was a fundamental change of policy from a defensive war to an aggressive one. Given its inevitable impact on York’s mission, it important to understand the circumstances. The Council’s realisation that they could not afford to defend Normandy and Gascony, coupled with French intransigence, had prompted this volte-face. The concept of a single force organised and equipped to find and defeat the enemy’s main force was militarily sound; if successful, it promised decisive results. However, there were risks if — as was the case here — it was an all or nothing gamble. It was important to stop Charles VII ranging throughout France at will demonstrating that he was the actual king of all France. It was also an opportunity to relieve Gascony and provide a shield for York in Normandy. Another factor that may have affected the Council’s thinking was their disappointment at York’s performance. The view in London was that despite the men, money and material invested in Normandy, York ‘had done precious little’ since 1441’. It’s difficult to know what York thought about this since he showed no outward animosity. Doubtless he was worried about the possible impact of Somerset’s expedition on his own mission, particularly if king Charles VII moved north, as was his intention. Somerset was bound to follow, which could result in him intruding into Normandy, with the inevitable confusion about who was in command. If York knew of the criticisms of him at home, he might well have been resentful, and doubtless anxious about his own position if Somerset was successful. Historians seem mostly concerned about how all this affected York’s relationship with Somerset. It is possible that it heralded the irreconcilable differences between York and the Beaufort’s that were to bedevil the future. The general opinion of John Beaufort was poor; he was not admired for either his military or his personal qualities and we have no reason to doubt that York shared that opinion. Nonetheless, we cannot date the breach from this time. Even if York was resentful we have no reason to believe that he was anymore resentful of the Beaufort’s than any other member of the Council. The expedition was a military and diplomatic disaster. Somerset dragged his heels getting started; he attacked the Bretons instead of the French (The Bretons were England’s allies.). He sacked the Breton town of La Guerche and, according to duke Francis of Brittany, acted like a ‘conqueror’. Once the Council had managed to smooth over the diplomatic furore, Somerset was commanded to desist from attacking the king’s friends. Somerset’s stupidity didn’t just provide Charles VII with a good laugh; more seriously, it reduced the English options and levers for securing peace on their terms. The unpopular William De le Pole, 1st duke of Suffolk had the unenviable task of securing a favourable peace from a position of weakness. Suffolk was well aware of the problems and the risk to his reputation if things went wrong. He demurred, pointing out his unsuitability for such a task. His objection, however, was overruled; he had to go. Fortuitously, duke Francis of Brittany was still prepared to act as an intermediary between Henry and Charles, which alleviated Suffolk’s problems to some degree. Also, it also suited Charles’ purpose at this time to make peace with the English, due to his own domestic problems. No one knows who suggested that Henry VI should marry Margaret, the daughter of Renee duke of Anjou, Lorraine and Bar. Discussions had been taking place for some time without progress and it is possible Margaret was first mentioned then. It is also possible that the idea came from the French who understood the benefits of such a match. From the English perspective the benefits were not so obvious. Margaret was only a junior royal (she was niece to the French queen); furthermore, she was not an heiress and came with a small dowry. She was also an inconsequential match for the king in diplomatic terms. The marriage secured with major territorial concessions from the English and only a two-year truce. The reaction in England was likely to be anxious at best and hostile at worst. As the king’s leading advisor Suffolk was committed to peace. A tougher envoy less dedicated to peace may have been able to drive a harder bargain than a limited truce, the loss of Anjou and Maine, and the miserly dowry given for the future queen of England. Suffolk was right to warn the king about his unsuitability for this task. Following the truce, York was supernumerary in Normandy. All he had to do were routine administration and the settlement of his own affairs. In the summer of 1445 he was recalled from Normand never to return. At this stage, York seemed to support the king’s desire for peace, and also his proposed marriage to Margaret of Anjou. In fact the duke tried hard to secure a suitable marriage for his own son Edward. He was negotiating for the hand of Joanna a daughter of Charles VII. It suited Charles’ purpose to engage in discussions with York (Although, he suggested that his daughter Madeleine was a more suitable match.) and they seemed to be going positively until York’s recall to England. If a suitable marriage could be arranged, it would place the duke’s family closer to the French throne than the king. He was still keen on the idea even after his return to England and intended to raise the issue with Henry. However, nothing came of it. It is difficult to assess York’s performance objectively as contemporary opinions were often biased. One contemporary domestic commentator thought he was “ impressionable and ineffective”. A foreign chronicler writing after York’s death considered he was an effective, determined and honourable governor. According to PA Johnson, York’s biographer, he left Normandy “…very much as he found it. In a rough and ready way it could be defended. In a rough and ready way it was governable”. We need not be too critical of him. He was given essentially defensive missions with insufficient resources, some of which he lost for Somerset’s ruinous expedition. As governor of Normandy York did what he was instructed to do. When he left it was defensible. It was not as defensible as he or others would have liked, and he could possibly have done more; however, his efforts were undermined by some hare-brained policies from Westminster. He also displayed the positive side of his character: a genuine concern for the welfare of those he governed and personal courage: moral and physical. York was about to set out on a new chapter in his life, which would transform him from a loyal, dutiful Lancastrian into a rebel Lancastrian.